This unique amino acid occurs in the muscle proteins actin and myosin, deriving its methyl group in a post-translational event (Rathmacher, 2000). 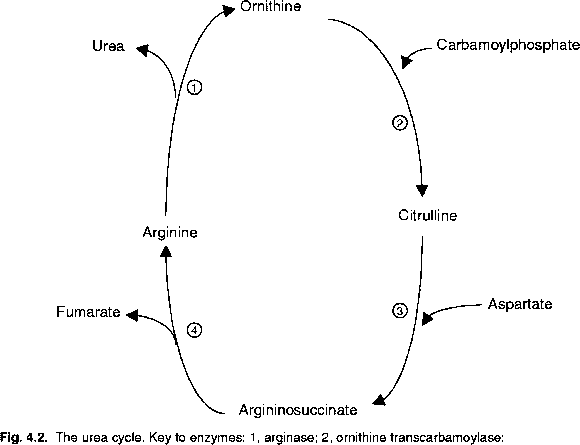 It is used as an index of muscle protein breakdown since it does not charge tRNA and is thus not re-utilized in protein synthesis. It is excreted quantitatively in the urine of certain animals and the major source is skeletal muscle. Thus changes in 3-methylhistidine disposition is predominantly a reflection of muscle protein metabolism. However, species differences are apparent. Cattle, for example, quantitatively excrete 3-methylhistidine in urine, whereas in sheep and pigs excretion is not quantitative. Rathmacher (2000) presented three-compartment models of 3-methylhistidine kinetics (Fig. 1.1), based on the knowledge that there are pools of this amino acid in plasma, in other extracellular fluids, within muscle and in other tissues. In sheep and pigs there is a balenine pool in muscle. Balenine is a dipeptide composed of p-alanine and 3-methylhistidine in equimolar quantities.